Torrie at Fox + Hazel. I absolutely love that graduated watercolor effect. Thanks for sharing, Torrie! 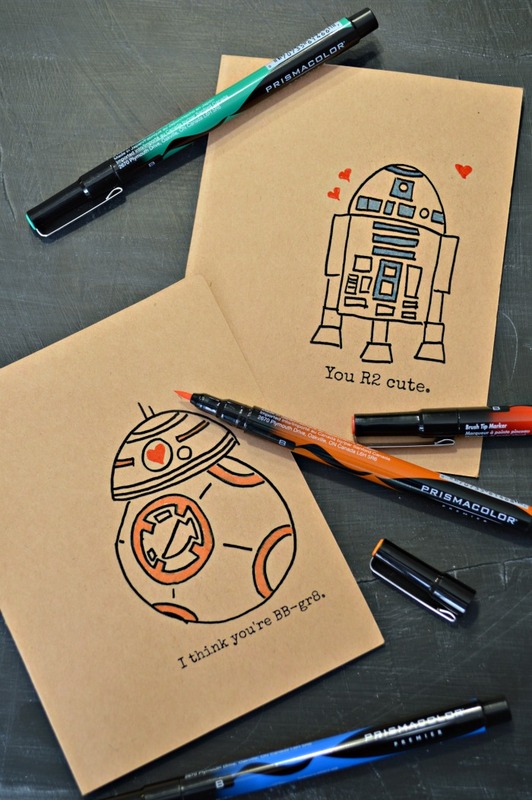 Arts & Crafts, Bits in Spaaace!, DIY, Geek out! This printable Harry Potter Valentine’s Day card project by Nicole at Tikkido is clever – and it’s even possible to make the larger size with an optical fiber wand that lights up. “You are the ‘lumos’ in my life.” Very apt for Harry Potter fans! Visit the post by Nicole at Tikkido for more. 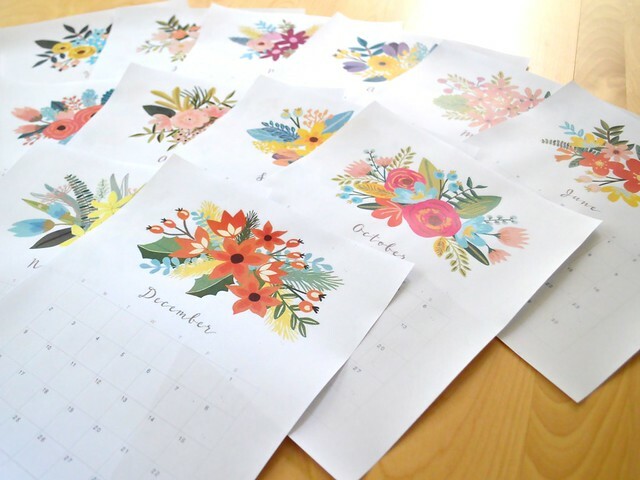 This floral calendar is by Ananda at A Piece of Rainbow. Each month has a different bouquet with a bit of space for notes. I think December is already my favorite. Very beautiful! I made these minimalist gift tags inspired by my Nordic roots. And I made them specifically to share with you – read on for the link to download yours! Heart is a popular Christmastime ornament in the Nordic countries, and not reserved just for Valentine’s Day. I made the cross stitch heart and interlaced tag outline with a photo editor. Then I trimmed them into rectangles, but you can either cut along the outline or create whichever shape you prefer. Download as .pdf (9 per letter-sized sheet; free for personal use only). Jessica at Mad in Crafts. Visit Jessica’s site for non-watermarked versions of the graphics. (Free for non-commercial purposes.) Thanks, Jessica! Since this free printable was designed as a 8”x10” pdf, I saved a screencap and set that as my wallpaper. Looks quite as good! By Katie at Upcycled Treasures (for personal use only). Thank you, Katie – I love it! 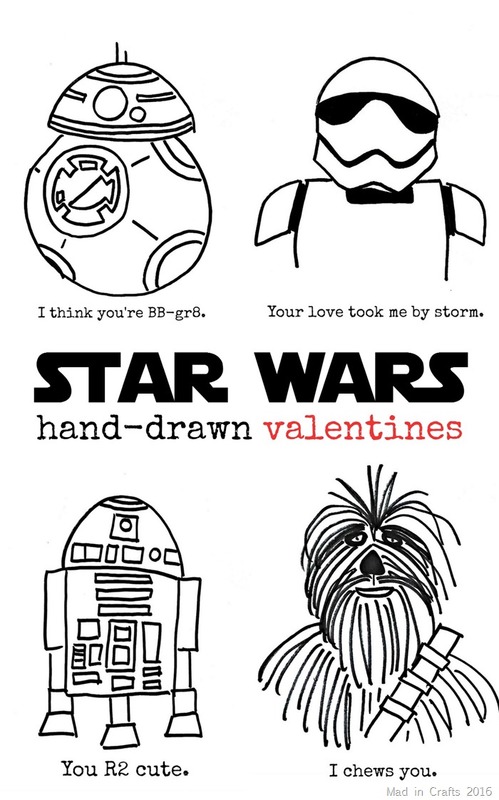 For the SW nerd in your life: freebie Star Wars Valentine’s cards by Alecia! Alecia at Alecia Dawn Photography; collage by Eppu Jensen. Go check out Alecia’s site for more designs! I enjoy making my own gift tags, but we all have times when it’s just not possible because life. Fortunately, the Amazing Internets!! comes to the rescue. 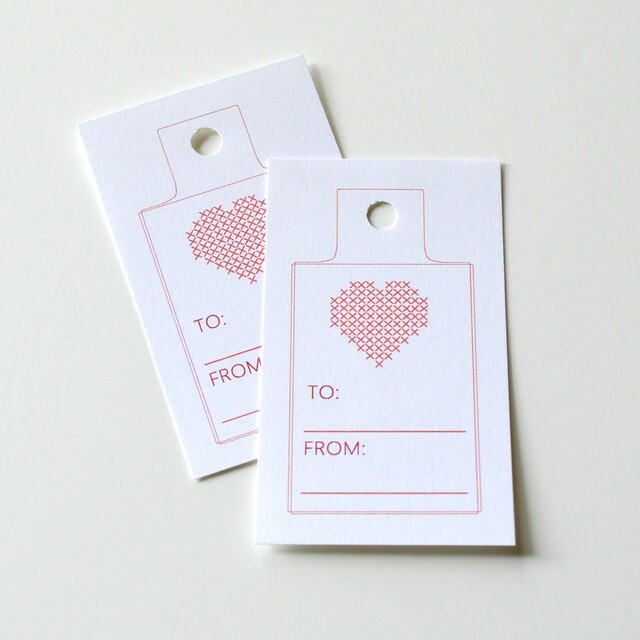 Here are a few cheerful, colorful holiday gift tags and other printables. Clockwise from top right: rainbow party printables by Jaime at Everyday Art; Let It Snow gift boxes and tags by Emily Hingston; jumbo Christmas light garland by Bettijo at Paging Supermom; tags with a knit print by Amy Moss. Thank you for your generosity, everyone!